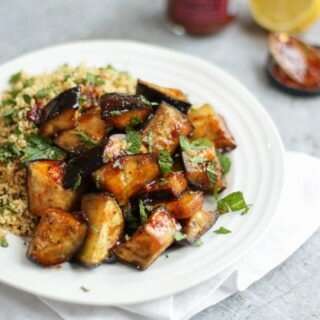 Deliciously simple and healthy vegetarian Spiced Honey Aubergine recipe with Cous Cous from Waitrose Beautifully Simple recipe ideas. Hooray, it feels like summer is finally here this week. Is there anything better than waking up to blue skies on a Monday morning? This week I’m making another recipe from the Waitrose #BeautifullySimple range of recipe suggestions and it’s perfect for a super quick midweek supper. Weekends of barbecues are stretching out ahead of us, but summer time meals after school, amidst art club and swimming lessons and a million other things can sometimes reply a bit too much on salad after salad here. A couple of weeks ago we tried the Cauliflower Cous Cous recipe, now for an easy peasy vegetarian aubgerine recipe. 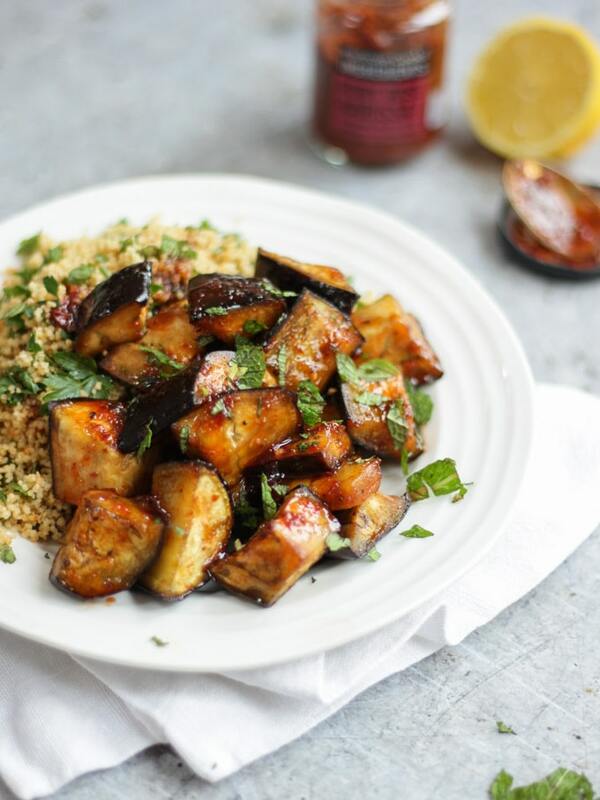 I absolutely love aubergine, but the children are never quite so sure. 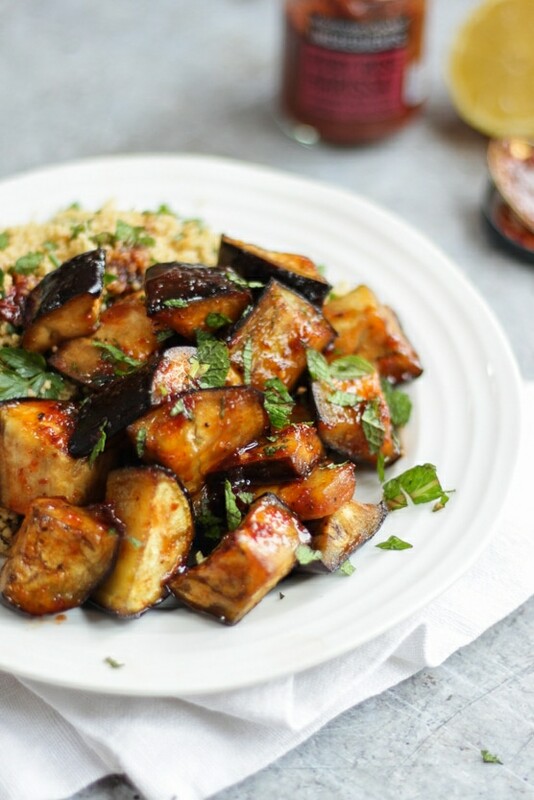 The sticky honey sauce in this recipe really won them over though and we all really enjoyed this recipe. Super simple and so tasty. It was really easy to make, and it made extra special with the addition of the Ruby Rose Harissa, only available from Waitrose. If you want to make it a little less spicy for children, just adjust the amount of harissa. 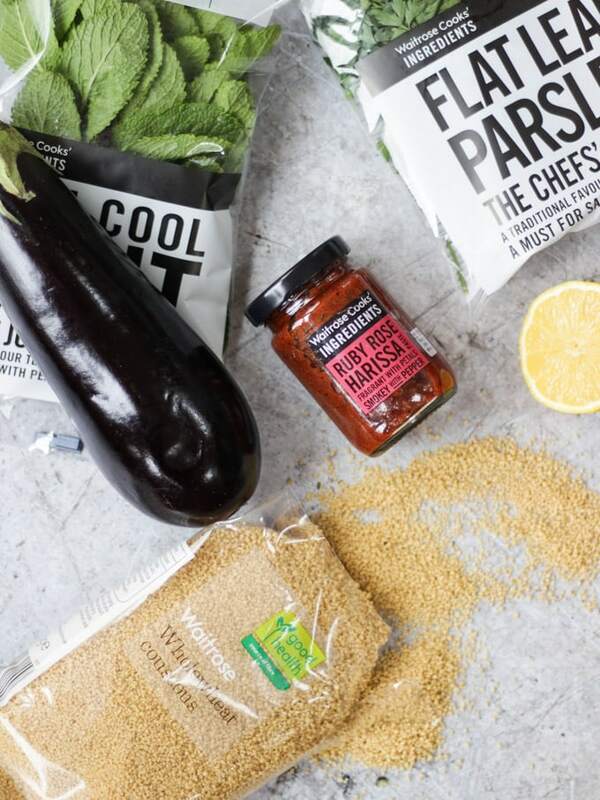 You can pick up the ingredients and the recipe card together in Waitrose now. 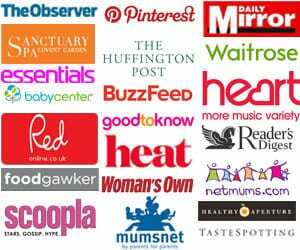 I’ll be posting one more of the recipes over the coming weeks and watch out for them in store. 1 Large aubergine Quartered lengthways then cut into bitesize chunks. Heat the oil in a large frying pan. 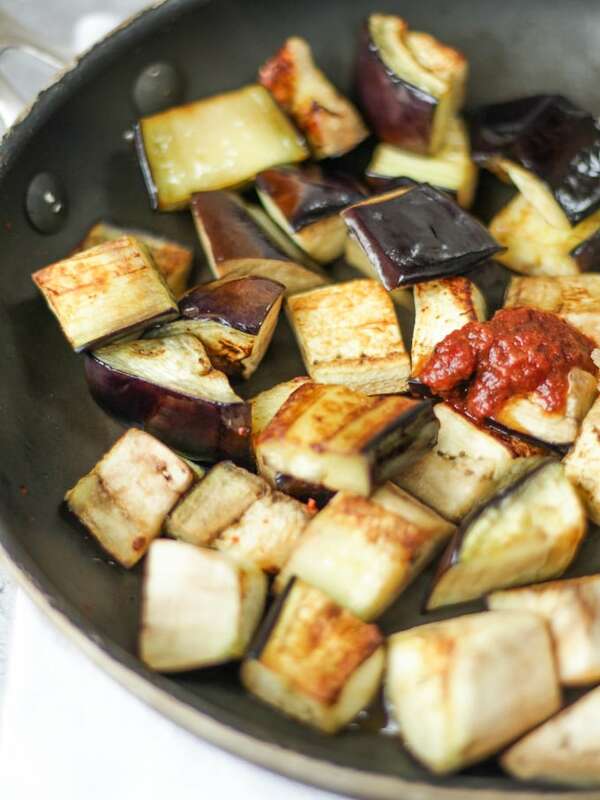 Add the aubergine, season and cook for 10 minutes, turning regularly, until golden and charring and completely tender. A gentle squash with the wooden spoon will help any last bits to yield to the heat. Meanwhile, place the couscous in a small bowl with 1 tsp harissa and pour over 150ml boiling water. Cover with clingfilm and leave for 5 minutes then fluff up with a fork, stir in the lemon juice, herbs and seasoning. 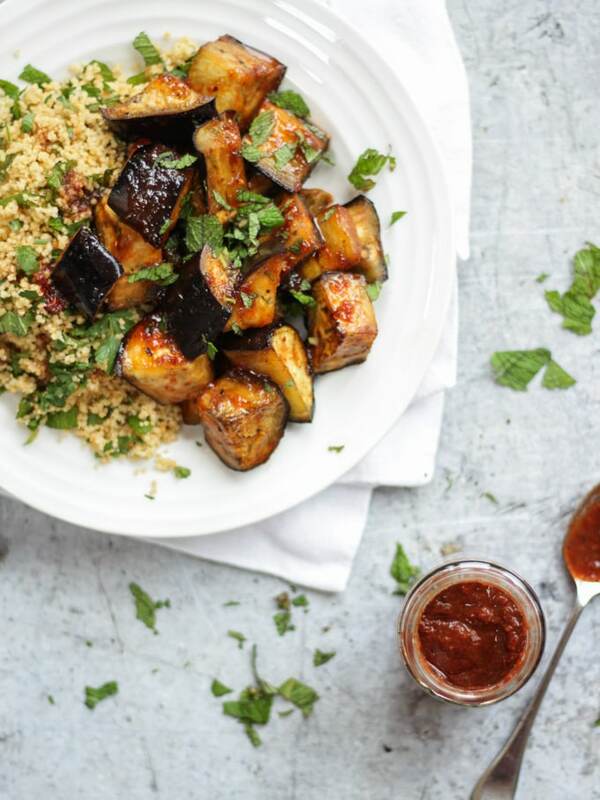 When the aubergines are ready, stir in the honey and remaining harissa and take the pan off the heat. Divide the couscous between plates. 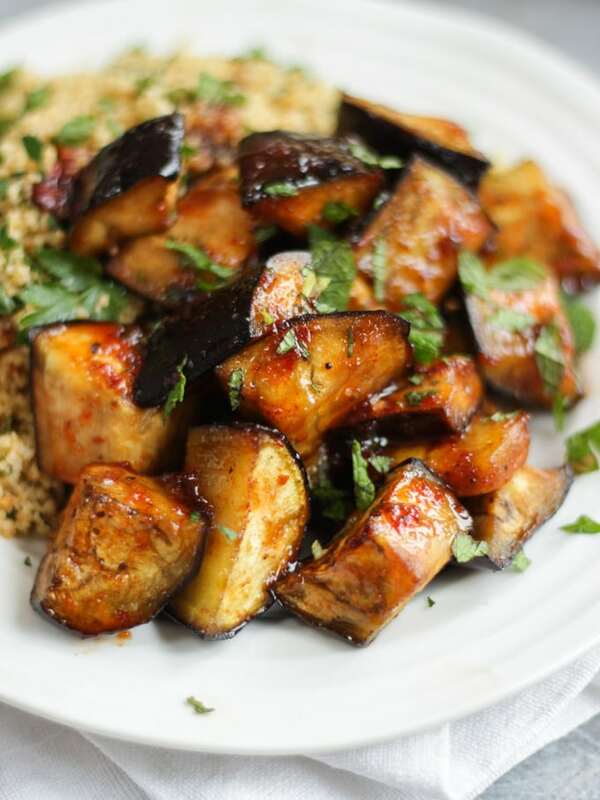 Spoon over the aubergines and serve with tzatziki or natural yogurt if you wish.